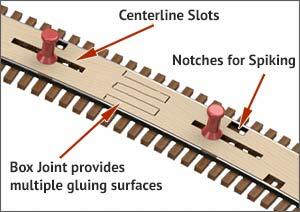 Use our laser cut SweepSticks to aid in precisely forming HOn3 flextrack in a perfectly straight line. In addition to holding flextrack straight, SweepSticks can be used as an aid to track planning. They are also great for determining whether the desired radius will actually fit as planned before starting any track laying. No cheating with SweepSticks! 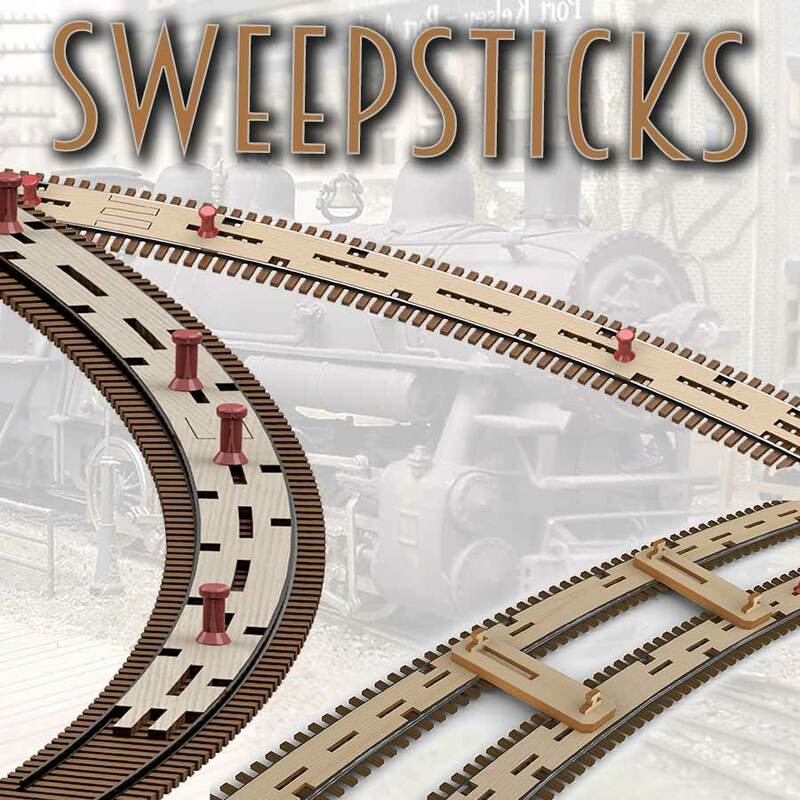 SweepSticks can also be used in hand laying straight and curved track, notches provide clearance for spiking. 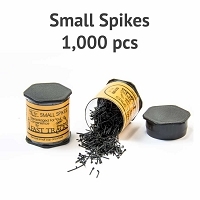 They work great for confidently centering the rail onto the wood ties. No more off center track! Precise! 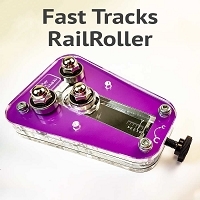 - Form perfectly straight lengths of commercial flextrack. HOn3 SweepSticks are precision laser cut from 2mm aircraft grade Baltic Birch plywood. The multiple direction of the wood grain in plywood makes it very stable and ideally suitable for SweepSticks. Each SweepStick size includes two 5" lengths that are glued together to form a single, long piece. 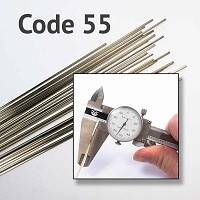 Additional lengths and sizes can be added for make a Sweep as long as desired. The end of each SweepStick forms a box joint that is interchangeable with any other HOn3 scale SweepStick. Radius " (mm) The radius these SweepSticks will form. Full circle Place an order for sets of SweepSticks to create a complete " radius circle. Each set includes 2 10" (304mm) lengths.